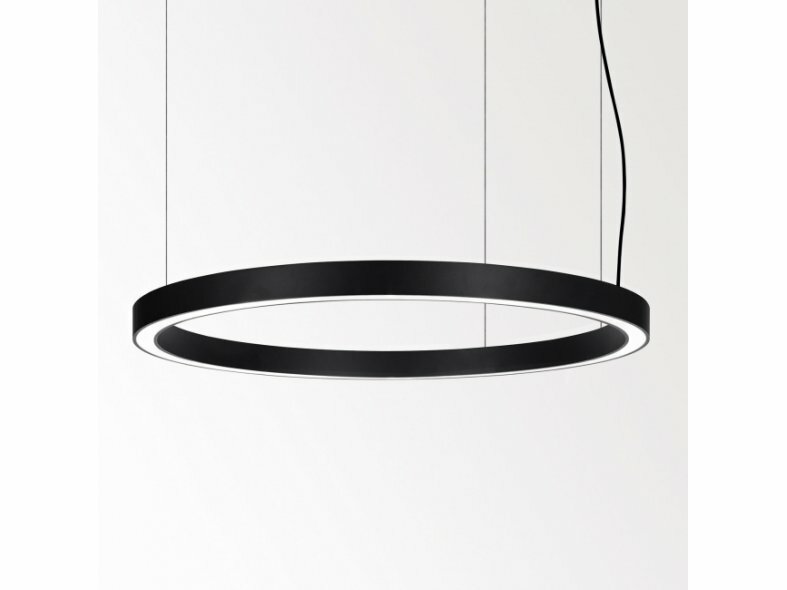 The initial Super-Oh range was launched at Euroluce 2015. 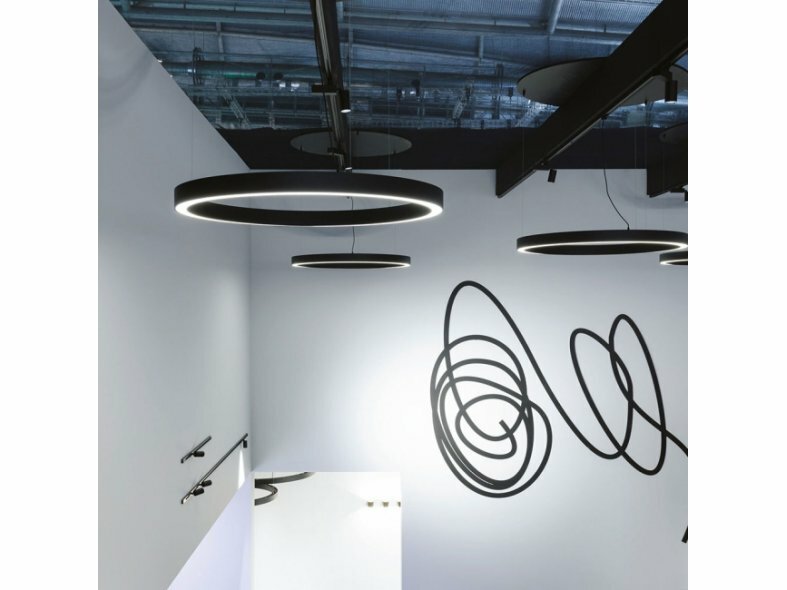 A series of slim black rings floating through space, finished either with integrated powerleds or the more retro-look version with classic light bulbs. 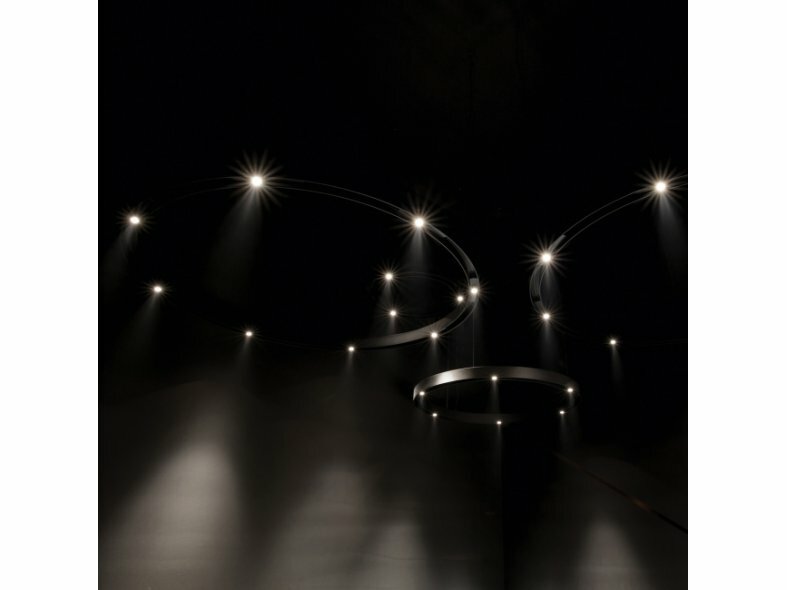 Now Delta Light builds on the success of the launch, expanding the range feature multiple sizes and applications. With its 25cm or 39cm diameter, the Super-Oh XS (Extra Small) can be considered to be "little one" of the family. 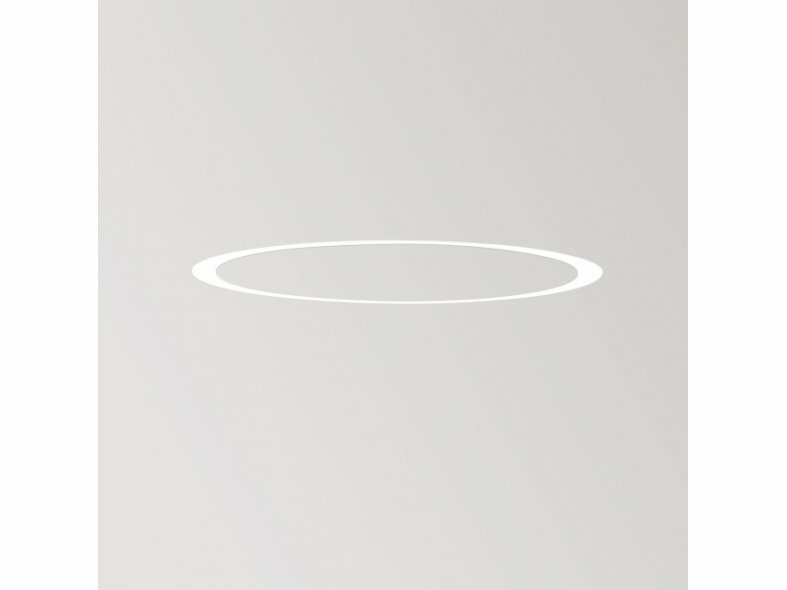 With only 5cm height, this perfectly curved circle holds a polycarbonate, hiding an intense clustered inner circle of the latest powerleds. This cirlce of leds is specially designed to guarantee a uniform and perfectly balanced light output, resulting in a very enjoyable diffuse lighting effect. The Supernova XS is available either for direct mounting, as a suspension or with a pivot, a flexible ceiling bracket enabling the user to tilt the disc up to 45°, and rotate 360°. 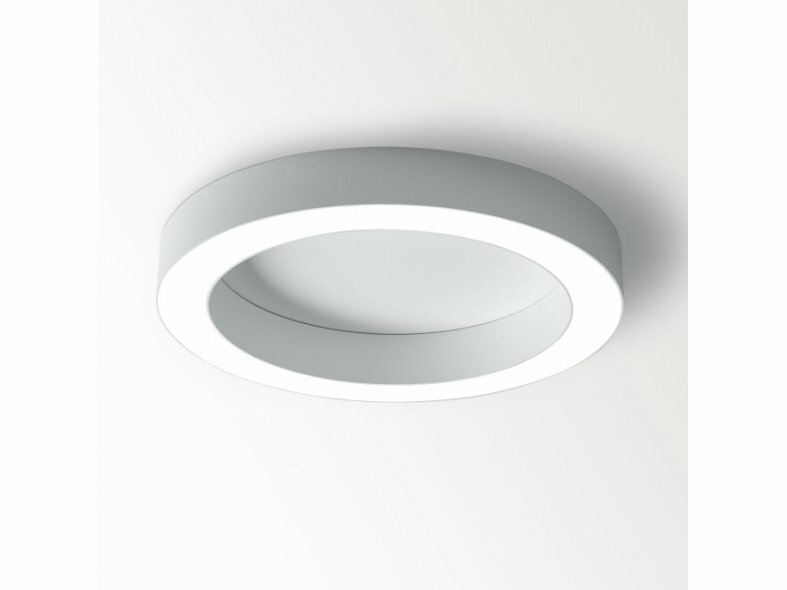 The large sized Super-Oh range now also features a brand-new SBL version, a circular aluminium profile with integrated polycarbonate, offering a perfectly seamless ring of light. This SBL version comes in different diameters, either down or down-up light, with either multiple fixation points or a central suspension. To keep a consistent design code throughout your project you can now also integrate a trimless Super-Oh. 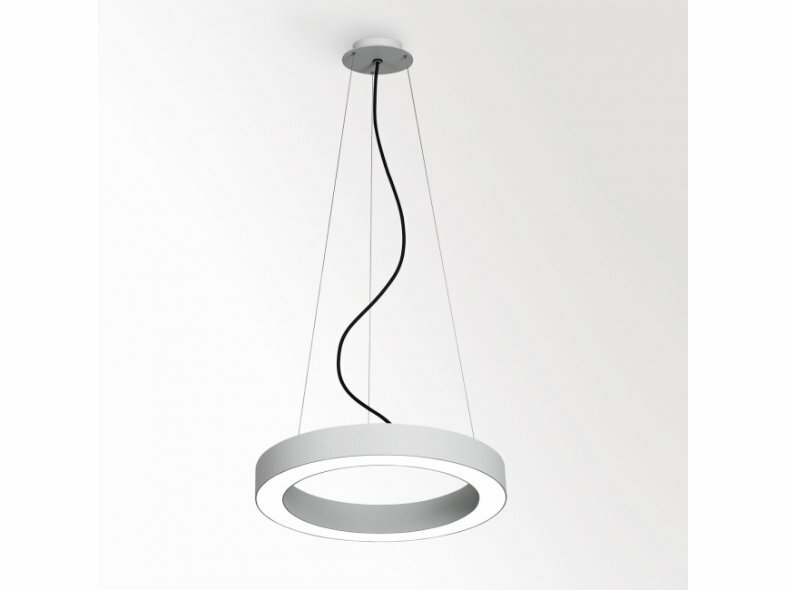 The result is a fully recessed, slim aureole. A symbol of infinity, without beginning or end, perfect, the ultimate geometric symbol seamlessly integrated into architecture. The Super-Oh can also be combined with Delta Light's brand new Wireless Control Dimming module, allowing you to manage your Super-Oh from your mobile device.